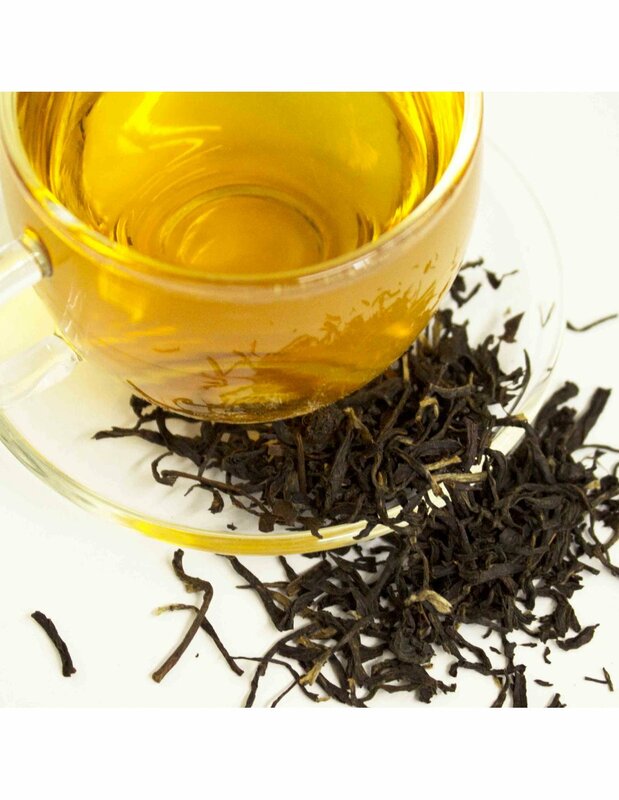 This excellent Assam Dikom tea from the the Assam district in North East India produces a deep amber coloured infusion with a brisk, robust aroma and a strong, rich flavour with a delicious malty tone. This strong and tasty tea is excellent on its own and also goes very well with milk. Use 1 tsp per cup, brew in hot water (98-100°C) for 1-3 minutes. Use the longer brewing time if you wish to add milk. Sweeten as desired. Packed in air-tight foil bag. Strong Assam tea with golden tips. It has a rich, intensive flavour with a refreshingly malty finish. Organic blend of herbs and spices believed to help the body with weight loss and to increase the burning of sugars and fat. Chai Mumbai blend has a bold, strong taste of classic Indian chai, yet smooth and mild enough to let all the delicious flavours come through. Classic Earl Grey taste with a fruity, tropical touch of sweet, juicy peaches.